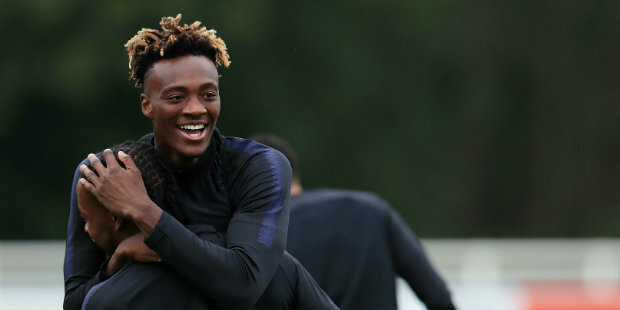 Chelsea boss Maurizio Sarri has said he did not expect to see Tammy Abraham leave the club on loan. The 20-year-old, who spent last season on loan with Swansea City, joined Aston Villa on a season-long deal in August. The move angered Cardiff City manager Neil Warnock, who had hoped to take the striker back to Wales on loan but said he had been told he was not available. Sarri, whose side face Warnock’s Bluebirds at Stamford Bridge on Saturday, said: “Tammy, until two days to the end of the market, wanted to stay. Abraham, who scored five goals in 31 top-flight appearances for the Swans last season, has only played three times for the Blues and is yet to start a match.